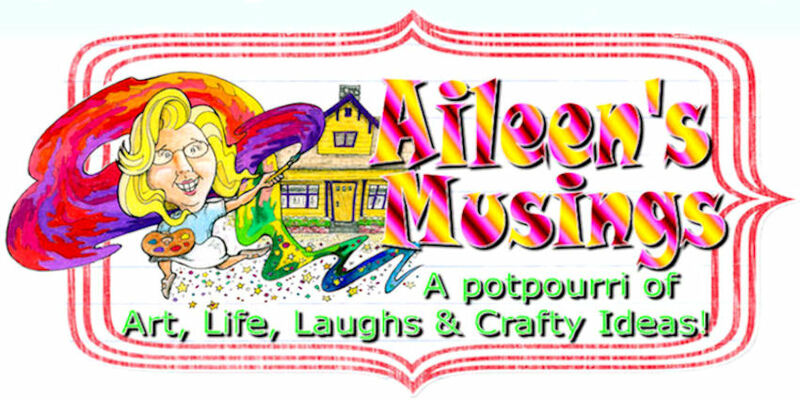 Crafty Blogger Blurb & Happy Howl' O ween! Boy there are some awesome blogger blurbs today, I'm loving them....how about you? Leave me a post and let me know how you like the Blogger Blurbs? Layers Upon Layers Artist Kerry Wilkinson plays with resin in a big way! Craftside- A behind-the-scenes peek at a crafty world Craftside has goulish wet felted eyeballs, a crocheted spider web sweater project, crafting with the Chrome Cowgirl, and announcing Quarry Publishing is sponsoring this year's Holiday Felt Club in Los Angeles with special appearances, signings and make & takes with authors, Angela Cartwright, The Crafty Chica, Lisa Sonora Beam and Stefanie Girard. The Impatient Crafter™ Join Madge for part two of her gothically delicious free Halloween project. The Invitation. Stefanie Girard's Sweater Surgery See how I cut out a cool part of a pattern from The Crochet Dude's hot new book to crochet a two colored headband. About Family Crafts Sherri offers several ideas for creatively displaying your child's artwork. Cathie Filian Win a copy of Bow WOW WOW! 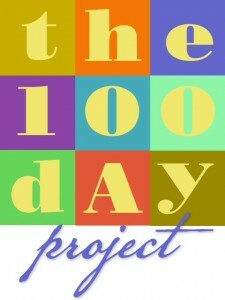 and a $100 worth of craft supplies from Plaid - 1 grand prize and 24 other prizes! Crafty Princess Diaries You can make any of these super quick jewelry projects just in time for Halloween, seriously, this Halloween! Otherwise, hit the bargain bins at your craft store for the after Halloween sales so you are prepared for next year! Cross Stitch at About.com Check out the latest additions to the Stitcher's Photo Album - We've reached a milestone. The first page is now devoted to submitted photos of the free patterns from About.com Cross Stitch. 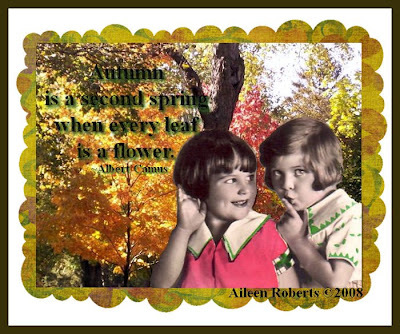 Here's a little autumn digital piece I created using Paint Shop Pro (incidentally if your looking for a user friendly and inexpensive graphics's program I highly recommend PSP click the link above to read more about it--no affiliation). The fall picture in the background is compliments of my niece in Indiana. Out here in California we don't have very colorful autumns, so we live vicariously through fall from other places LOL. I've uploaded some new freebie pictures in OTM's gallery HERE , so take a moment to download them and create your own digital work of art! My niece was home for a visit from Notre Dame this week and we had a fun play day together where she made some Christmas gifts she could take back and give to her friends. She misted away using the Color Mists on mini canvas journals, then adding label brackets she colored with paint pens, next she added paper tags on the pages to separate for the alphabet. We sealed them with PYM II as the finale! Before she knew it she had 4 cute little address books to give to her friends. It took her all of 1 1/2 hours to make them accounting for drying time and all (we cheated and used a heat gun). Check out the great Crafty Halloween Blogger Blurbs posted this week, what fun ideas! 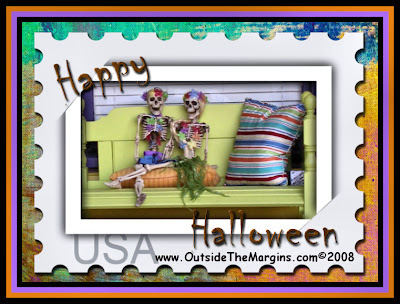 Download and send a Halloween Postcard to all your friends. About Family Crafts If you are in search of creative costume ideas for 2, 3, 4, or more, you have come to the right place. Cathie Filian Check out the Halloween Videos from the Emmy Nominated television show, Witch Crafts, where Cathie and Steve, make some awesome Halloween Projects & party ideas. Craftside-A behind-the-scenes peek at a crafty world This week Craftside brings you a modern denim and plaid upcycled quilt block, 2 yummy recipes using sherry, Art Nouveau jewelry, off register screen printing designs and a call for entries for a new book- 1000 Ideas for Creative Reuse. Crafty Princess Diaries No more babies in your life to crochet or knit snuggly blankets for? No worries, the Crafty Princess has the low-down on a baby blanket contest as well as a non-profit group that makes blankets for babies in need. Cross Stitch at About.com This week, Connie has been spending a lot of time in the kitchen - no, not cooking. Dyeing fabric instead. Find out more about all the ways you can change the color of your fabrics. Layers Upon Layers Cyndi has gathered together her most popular tutorials on creating great background papers for your artwork. Stefanie Girard's Sweater Surgery Check out a ring project inspired by Sherri Haab's book Felt, Fabric, and Fiber Jewelry done Sweater Surgery style. The Crochet Dude Drew has the perfect recipes for a Halloween party: Bloody Eyeballs and Maggots! The Impatient Crafter™ Madge shares part one of her two part final project for Terrorific Tuesdays. It's a Gothically delicious tale of friendship. I used a large size rub-on image I had for the front of the necklace (make sure that the rub-on you use is a sticky one,use a brand you know to work well for you--I used a Rebecca Sower rub-on that came in a tin). I then removed the excess rub-on after smoothing around the edge of the medallion. Next I added chalk inks to the sides and the back (instead of chalk inks you can use paints, glazes, watercolors and pigment inks). I then made a puddle of the gold leafing paint on some acetate slide my rubber stamp through the paint and stamped onto the back side of the medallion. To finish it off I adhered a brass face using Crystal Lacquer and then sprayed it with PYM II to seal it and hung it from a piece of leather lacing (you can find this at most craft and bead stores). I woke up this morning to find that Herm and Ethel are baaacccck in time for Halloween! I found them sitting on the veranda counting cars! They've had a heck of a busy year traveling around. For some reason the cooler fall weather makes me want to do more digital art and it's been far too long since I've done any digital pieces so it's felt good to work on my skills again. My goodness is it Friday again, time is just flyin' by! There's a couple new additions this week so check them out and enjoy! The Swell and Spooky Life Swelldesigner is giving away a super swell vintage-inspired pumpkin man box in honor of Terrorific Tuesdays! The Crochet Dude I Want My Mummy! Drew has a free Halloween treat bag crochet pattern that is super cute! Layers Upon Layers Cyndi has updated her ever-growing list of posts covering different methods to do image transfers. The Impatient Crafter Margot shares next week's Terrorific Tuesday Halloween Themed paper crafted jewelry project. Hooty the Halloween Hoot Owl! About Family Crafts Take a few moments and tell Sherri and all of her visitors what your favorite way to save money is when it comes to craft supplies. Cathie Filian Cathie Filian has a tutorial on how to transform plain candles with a few stamping supplies. Great for holiday gift giving and decorating! From the Medieval Lights episode of Creative Juice. Craftside-A behind-the-scenes peek at a crafty world Peeking at you this week from Craftside are easy felted eyeballs, a dimensional surface technique tutorial, a creative inspiring exercise from the new book The Creative Entrepreneur and a paper and crystal necklace project from Jenn Mason's latest and greatest book, Altered Paper Jewelry. Crafty Princess Diaries Are you thinking about stocking stuffers for you crafty friends yet? 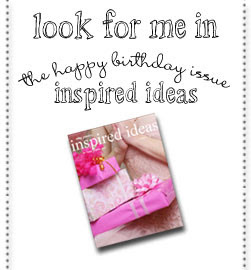 The Crafty Princess has a few ideas for you. Cross Stitch at About.com Do You Suffer from Pattern Paralysis? Find out what it is and learn ways to treat it. Be sure to read all the comments and add your own! Stefanie Girard's Sweater Surgery The "Eyes" have the vote with a super easy Eyeball Halloween Desktop Decoration. Ah there is light at the end of the tunnel...er, I mean in the bathroom is more like it! Yes, the bathroom remodel is near completion if you ignore the fact that the toilet and sink aren't back in yet....minor details right? a functioning bathroom is overrated I'm sure! Working on an old house is like a box of chocolates....you never know what your gonna get once you tear into it! LOL I know those of you who have ever owned an old house know exactly what I'm talking about...Yep, I see you nodding your heads out there ;-) Son number 1 is going back home now after coming up to help us out and hubby will finish up the rest. It will be nice to have two bathrooms again! How does this all relate to art....? well heck the bathroom job alone was quite creative...ohh that doesn't count, eh well I did work on some small projects amidst the chaos. I made an address book out of the mini canvas journals I've started carrying at OTM. It's a gift for a friend and would make great gift ideas for teachers, friends and secret sisters! I also discovered a new favorite product! Absorbent Grounds (white) by Golden's. I'm not sure what other brands are out there, but I bought my jar from Michael's using their 40 percent off coupon. I spread some on a mini canvas journal with a palette knife and then used a plastic "thingy" (how's that for technical terminology LOL), that I found which had small holes drilled in it... I basically smooshed it into the absorbent grounds and lifted it back up just to create some texture. The absorbent grounds has the consistency of frosting to me. 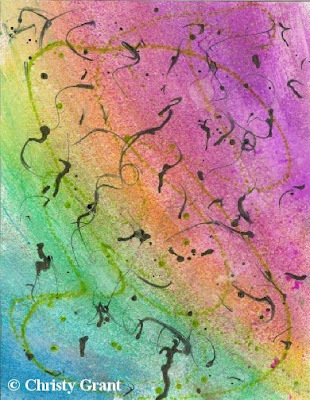 What I loved about the absorbent grounds is that my Color Mists worked awesomely over the absorbent grounds which for me leaves me with endless creative possibilities! For some reason I had such a hard time getting a un blurry picture so bare with me on the quality of the photos. Inside Front-I added a pocket and tabs dividing up the alphabet. As promised here is another tutorial I posted to the OTM website. This one was created by Christy Grant, if you have a moment please check it out HERE. The Impatient Crafter™ In honor of Halloween, Madge has joined Terroriffic Tuesdays. This week she shares a free Crystal Web Collar she created for CYSWCSE Swarovski's DIY brand. 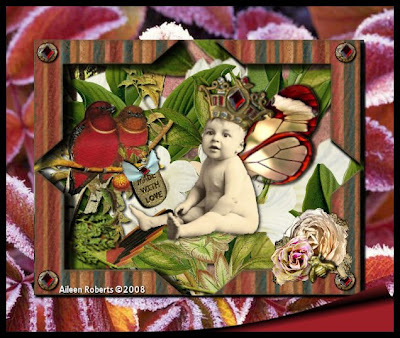 Layers Upon Layers Make a fabric collage, using digital images as your inspiration. Stefanie Girard's Sweater Surgery Stefanie, unlike Joan Crawford, embraces the wire hanger and her favorite medium-the sweater- to make a quick and easy Ghost Halloween Decoration. About Family Crafts Find out how you can transform ordinary soda pop and beer cans into crafty masterpieces. Cathie Filian Cathie's new book Bow Wow WOW! fetching costumes fabulous dog is now avaliable. Have a peek at the 36 different fun costumes and fashion accessories you can make for your pooch. Craftside-A behind-the-scenes peek at a crafty world Halloween crafts are in full swing at Craftside with a GIANT web with a super cute spider from the book Fleece Animals, a papier mache skull with natural rust effects, and a found in the yard decoration inspired by Faux Florals in Glass. But Halloween isn't the only thing happening, there is my finished Crafty Chica Empowerment Guardian and a whole bunch of techniques using Angelina fiber from the creative mind of Susan Stein. Crafty Princess Diaries The Crafty Princess found some cool crochet candy corn to make and enjoy, a great beginner's project! Cross Stitch at About.com Stitch a spooky skull with glow-in-the-dark blending filament - if you dare! Color Mists Fiber Necklace Tutorial! Have I mentioned our upstairs bathroom leak fiasco a few weeks back? hmm...no....well due to that we are now in the middle of a bathroom shower redo (for those of you that don't remember I live in a 100 year old house), and nothing is ever easy when it comes to fixes of course everything goes according to plan and smooth as buttah! Needless to say there has been no time for art this week. I feel rather like I'm living in the middle of chaos or the eye of a storm for some odd reason LOL Thankfully my oldest son came up to help with the bathroom redo. Having to step around and over things worse then normal has definitely driven my creativity out the window....anyone know where it's landed?!? 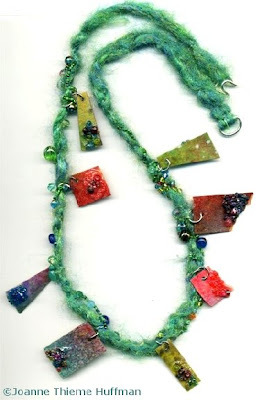 Instead of art I worked on getting more of my tutorials I had posted on the old site uploaded to the new site..... one of my favorites is the Color Mist Fiber Necklace that Joanne Huffman created awhile back. 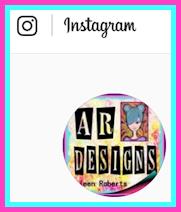 Please take a moment to check out her tutorial posted on OTM's website HERE and also take a moment to check out Joanne's blog and see more of her beautiful art. You might recall my Day of the Dead post showing how I painted the skull recently. I thought you might like to see what I ended up doing with the painted skull...I used one of the artist manikins and painted it with gesso and then used a charcoal pencil and paint pen to make it look more like bones. I then carved out the painted skull until it fit perfectly atop the artist manikin head and then glued it with multi surface adhesive. 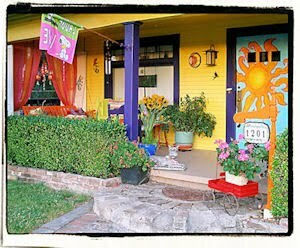 About Family Crafts Want to surprise your neighbors this Halloween? These unique gift ideas will get your entire neighborhood into the Halloween spirit! Cathie Filian Take a sneak peek at the Emmy Nominated, Halloween craft show, Witch Crafts on DIY Network and check out the complete project list (with instructions) from the series. Craftside-A behind-the-scenes peek at a crafty world There are crafty tasty treats this week at Craftside with an inside peek into the book Artisan Chocolates, a recycled book slider idea, design points from Singer Decorative Machine Stitching, eye and soul candy from the new book Knitting Art and a secret square altered art page tutorial. Crafty Princess Diaries As crafters we have an advantage over most folks because we can often wear what we make. See what Tim Gunn from Project Runway has to say about what to wear this season and how accessories play a part. Cross Stitch at About.com Connie's been having some fun with FurTaStitch floss. See what she's been up to and learn more about stitching with textured flosses. Layers Upon Layers Be inspired by artist Nicola Dale's amazing book arts! Margot Potter The Impatient Crafter™ Margot has made the executive decision to split her blog in two. Introducing the brand spanking new The Impatient Crafter™ blog! 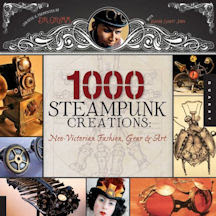 A new destination for all things crafty! Stefanie Girard's Sweater Surgery A 10 commandment bracelet is in surgery this week and gets a make over into an asymmetrical necklace.